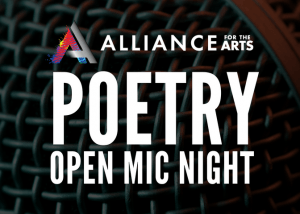 Are you a poet looking for a stage? 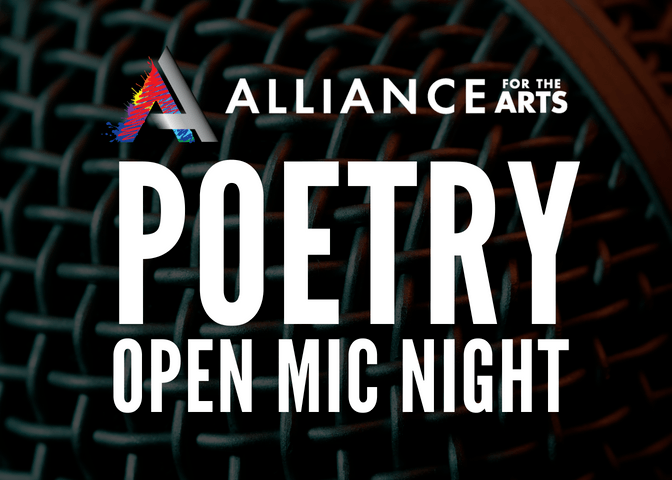 Share your original work against a backdrop of local art at our Poetry Open Mic Night. Fill our gallery with your prose during an evening designed to bring together different generations, styles and approaches to poetry. Gather, socialize, share ideas and meet new people. All ages are welcome, but we remind you that our poetry events are uncensored. A $5 suggested donation helps keep Alliance programming affordable and accessible.